Hacking will demand your full dedication and interest and also a desire and a craving for knowledge and constant advancement. 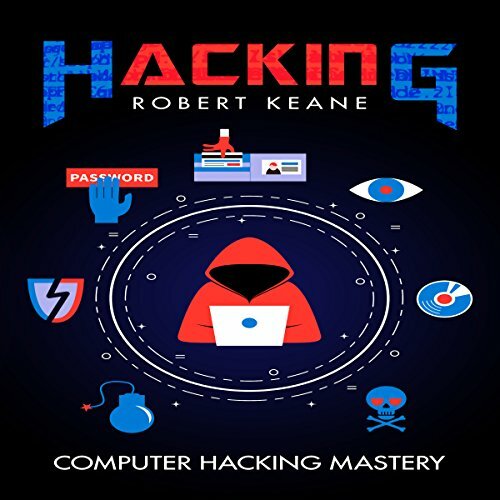 If your goal is to be a hacker, this is the audiobook to start with! 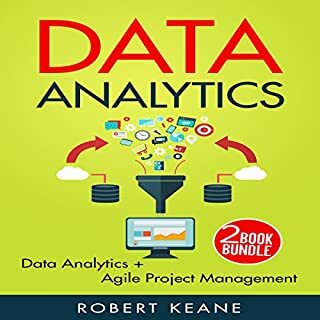 This audiobook contains proven steps and strategies on how to hack a wireless network, carry out a penetration test, and so much more. It gives an insight to the most used hacking techniques and how to develop your basic skills. The world of hacking has changed so much in recent years. New attacks are being made, and learning how to protect your system can be more difficult than ever before. This guidebook has all the information that you need to learn about some of the most common attacks that are going on in the world today, as well as some of the things that you can do to protect yourself. Inside this guidebook, you will learn everything that you need to start your journey with hacking. There is just so much to explore when it comes to the world of hacking, and things are changing each day. When you are ready to learn some of the basics of hacking, or you would like to learn how to protect your own system, check out this guidebook to help you get started! 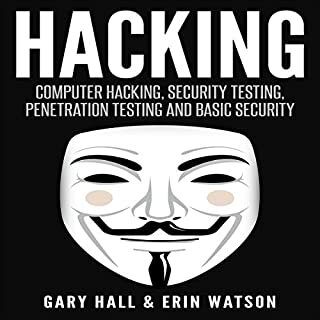 Get this audiobook to update your knowledge on hacking. In many countries today, hacking is considered one of the biggest national threats. It is considered a crime. This book provided us the concepts and fundamentals behind the definition of a hacker-who are hackers, and what do they do and so much more. 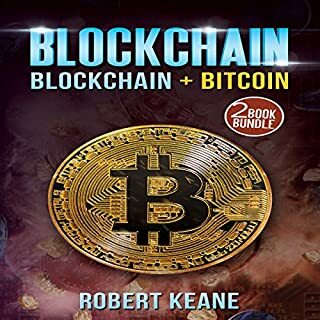 I am totally non IT person, so this an extensive and holistic overview of where to begin and what to do.This is an incredible begin for the beginners, and a straight forward guide on the most proficient method to get your hacking interest on the go.The audible is very much adjusted of hypothetical data and rehearsing of making your own particular key-lumberjack and wi-fi hacking.Must read this book ,its full of knowledge about hacking. The audio book was exceptionally enlightening in explaining the science behind hacking.Overall,this has been a wonderful read. I want to learn hacking. for this reason I want to purchase it and I will listen to this guide. My friend told me that this guide was very useful. thanks. Well detailed discussion about hacking and what it requires from you. learned a lot about network security and the techniques hackers use. 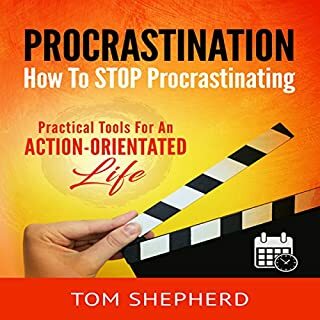 A good resource for an introduction to this topic. I would recommend it to anyone looking to get introduced to this topic. I want to learn how to be a hacker because it seems like this skill will make me know about more things about computer and programming and how it works, this can be a great career as well. Authors performed a great study of the covered companies Hacking: Computer Hacking Mastery, some chapters have a lot of assumptions. Overall a good job. There are books and then there is computer hacking. A masterpiece by the master himself. Finished reading half and it gets better with every section. Must read. As an intro to computer hacking, I was able to listen to the book and grasp all the concepts. Robert Keane concepts down easy for anyone to understand. Since studying about hacking more, I can't wait to read it again! 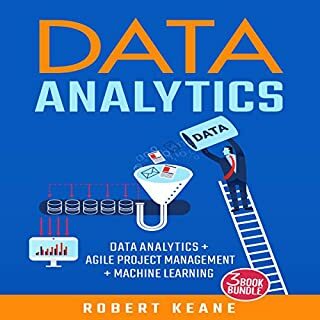 Robert Keane is a great thinker, he made an excellent audiobook. This book shows his knowledge and capability. This book Speak about the computer hacking, this is an important concept. Every people should know about hacking. Then only we can understand computer hacking. Great, short and to the point. 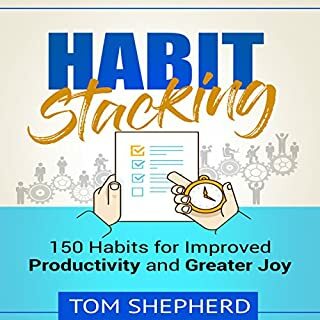 I rarely give five stars, but it’s the best book, you'll spend on an audio (I did Audible, but I’ll also buy the book to get the references easily ). This book is so interesting, you can listen to it and it will open your eyes to a whole new approach to hacking. If you've tried the usual methods without much success, this is for you.